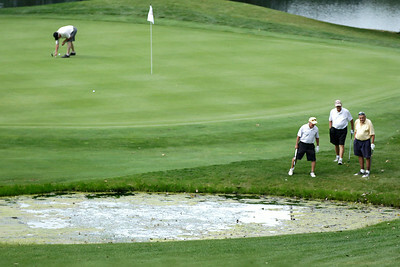 H. Rick Bamman - hbamman@shawmedia.com Veteran George Nowak (left) marks his ball Tuesday, Sept. 13, 2016 while Dave Neisler, Richard Augusty and Pete Cocalis look for a shot deep in the rough on the 8th hole during the 10th annual Salute to Veterans golf outing at Prairie Isle Golf Club. 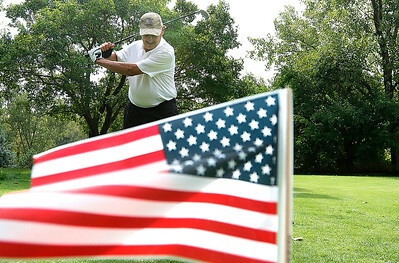 H. Rick Bamman - hbamman@shawmedia.com Air Force veteran Peter Barroso (left) of McHenry, watches his Army veteran son Dan take his second shot on the sixth fairway during the 10th annual Salute to Veterans golf outing at Prairie Isle golf course. 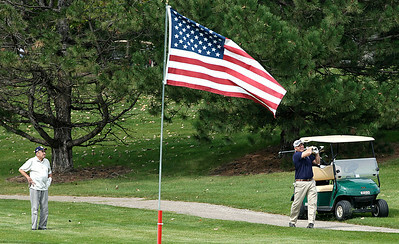 H. Rick Bamman - hbamman@shawmedia.com Army veteran Dan Barroso takes his third shot on the sixth fairway during the 10th annual Salute to Veterans golf outing at Prairie Isle golf course. 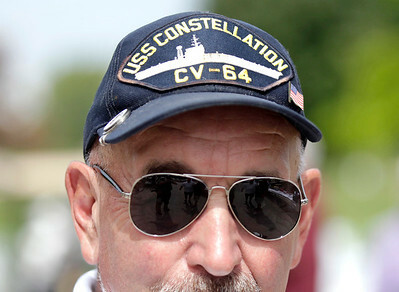 H. Rick Bamman - hbamman@shawmedia.com Navy Veteran Richard Augusty of Northbrook. 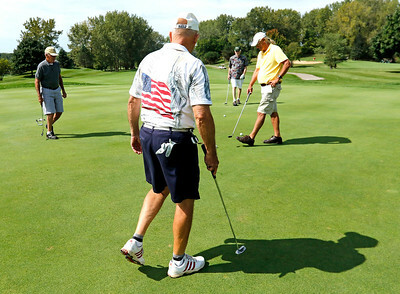 H. Rick Bamman - hbamman@shawmedia.com Veterans Ed Bourdage of McHenry (from left), Frank Wellwerts of Woodstock Don Schwegel of Algonquin and VIck Beck of Crystal Lake line up their putts Tuesday, Sept. 13, 2016 on the ninth green during the 10th annual Salute to Veterans at Prairie Isle Golf Course in Prairie Grove. 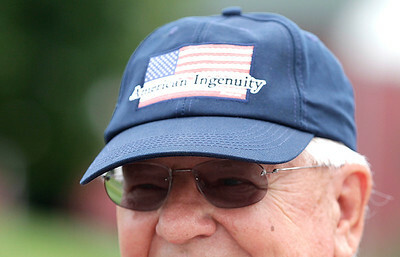 H. Rick Bamman - hbamman@shawmedia.com Jim Barrie Navy Veteran of Huntley. 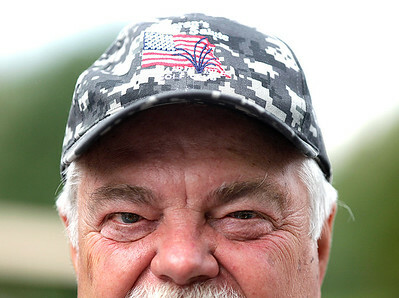 H. Rick Bamman - hbamman@shawmedia.com Army Veteran Bob Fergerson of Crystal Lake. 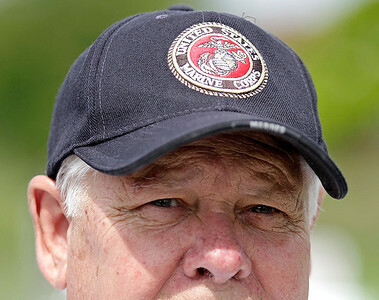 H. Rick Bamman - hbamman@shawmedia.com Marine Veteran Don Kenyon of Winfield. 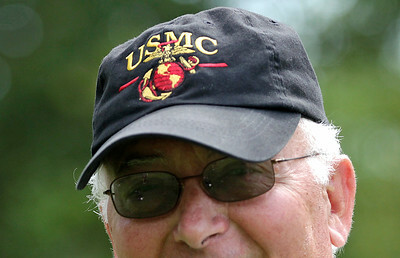 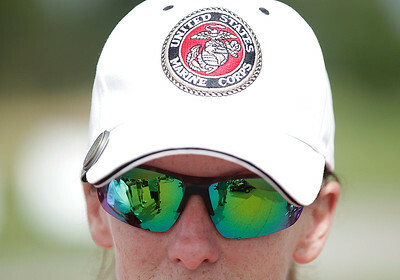 H. Rick Bamman - hbamman@shawmedia.com Marine Veteran Rita Kollias of Batavia. 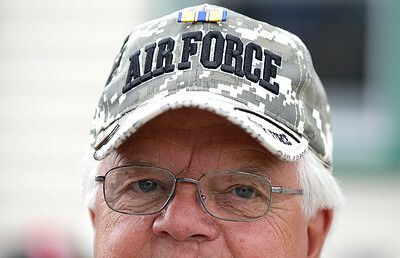 H. Rick Bamman - hbamman@shawmedia.com Air Force Veteran John Rose of McHenry. 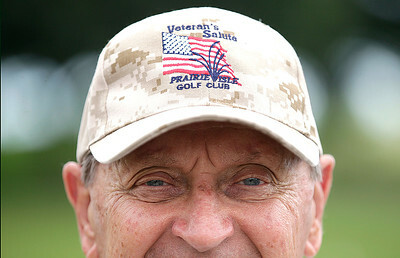 Jim Barrie Navy Veteran of Huntley.